my mom prepares it little different.. love this biscuit..
Crispy and tempting shakkarpara...perfectly made. I like these very much!! They are crispy & yummy.. 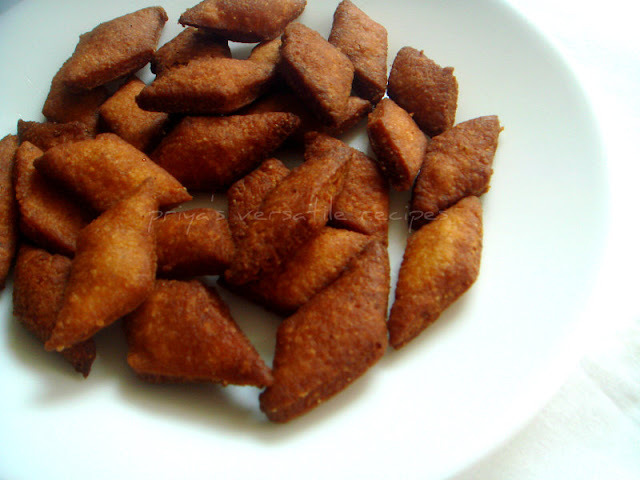 Very addictive snack..Looks soo crispy..
நாங்க இதை சர்க்கரை சேர்த்து செய்வோம். Cornmeal shakkarpara sounds good. Love to try it soon. Yummy snacks! Sounds healthy too! Nice crispy ones.I loved especially the addition of cornmeal..
Quick and simple snacks..sounds great. wow...nice crispy snack.... loved it... try to grab it..
That looks like a delicious variation to the traditional recipe.